No, this isn’t the same Subaru WRX stunt car from Baby Driver that we wrote up over the summer. While that car had been converted to rear-wheel drive, this one is all-wheel drive. Headed to Mecum’s Houston auction next month, this is another shot at taking home a red Subaru WRX stunt car used in the movie. It comes with modifications like a CNC hydraulic handbrake, OS Giken front differential, Cusco rear LSD, forged CP pistons and Exedy Stage 1 clutch. These are definitely things you rattle off to your friends the next time you guys hang out. It’ll blow their minds. It also has an all-wheel drive STI drivetrain swap, installed by Allpro Subaru in Alpharetta, Georgia, so you can finally pull off those sweet, AWD drifts. Just don’t use the car to, you know, rob a bank. In addition to the car, you’ll also get a build sheet, receipts and matched screen shots for your Baby Driver fan cave. Imagine the bragging rights! 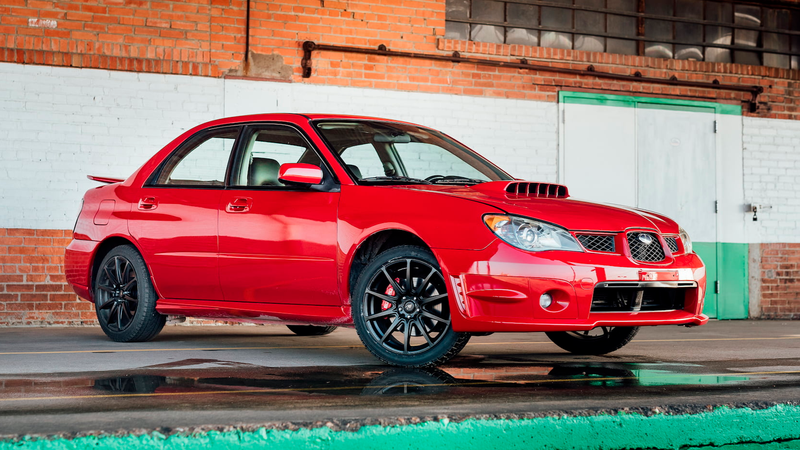 Mecum didn’t list a price for the WRX yet, but it probably won’t be cheap, considering the other car sold for nearly $70,000. Sorry. That’s the price you have to pay for being so close to fame.